Kamal Haasan wiil be arrested for hurting Hindus? CHENNAI: A petition seeking direction to the police to register an FIR against actor Kamal Haasan for his alleged comments on "Hindu terrorism" in a Tamil magazine has been filed in the Madras High Court. When the plea came up for hearing today, Justice M S Ramesh directed the public prosecutor to get instructions from the police authority concerned and adjourned the petition by a week. 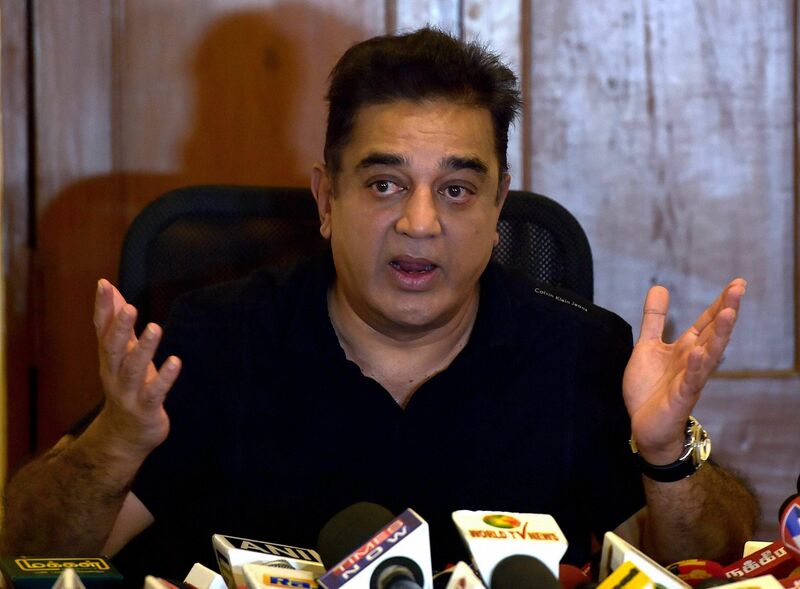 According to the petitioner G Devarajan, a registered advocate clerk in the high court, Kamal Haasan said in an article published in a Tamil magazine that the presence of "Hindu terrorism" in the country cannot be ruled out. "By making such statements Kamal Haasan is trying to brand Hindus as terrorists. He should understand that no religion preaches violence but only peace. The actor with vested interests is trying to divide the Tamil community on basis of religion," the petitioner said. He added that he had approached the Chennai police commissioner on November 4 and Teynampet police on November 6 with his complaint against the actor. Since no action was taken on the complaints, he approached the high court. The petitioner also wanted the court to direct the police to take action against the editor of the Tamil magazine for publishing the article.